Though not in Suches proper, this store is nearby and has a Suches address. 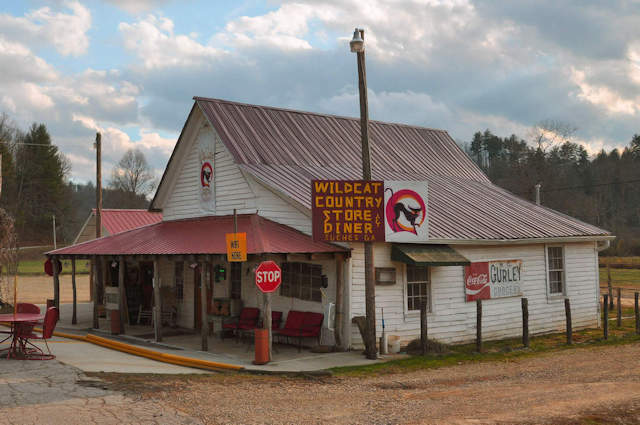 It’s now home to the Wildcat Country Store & Diner. Jeremy Burger writes: My great grandfather owned that store (Lester Tritt) prior to Carl and moved it from it’s original location to where it’s sits now. He also built the house across the street and my grandfather was born in it. Home of my Davis ancestors. Beautiful area.